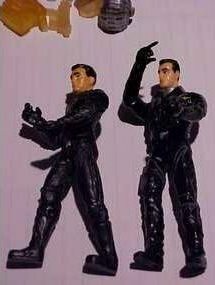 1) Two different painted versions of Judy Robinson. 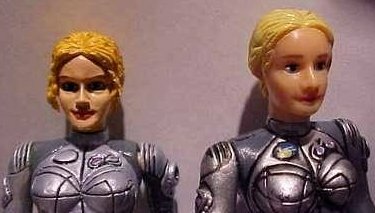 Note the different color tones on Judy's face, and the lighter gray on the spacesuits. 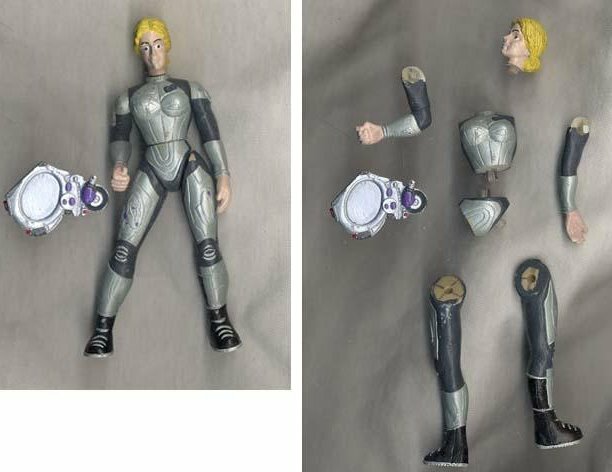 2) An unassembled Judy Robinson figure with head & arms unattached. 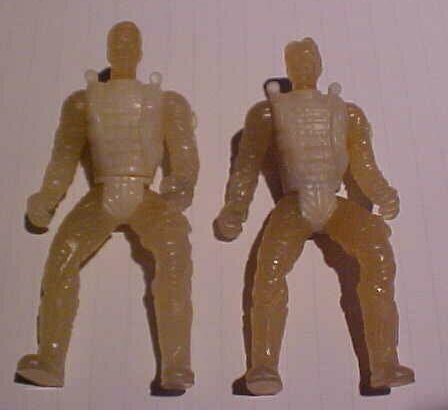 3) Unpainted clear plastic figures of Professor John Robinson & Dr. Smith. 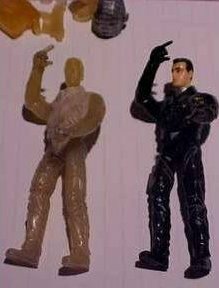 4,5,6,)Three different painted and unpainted figures of Major. 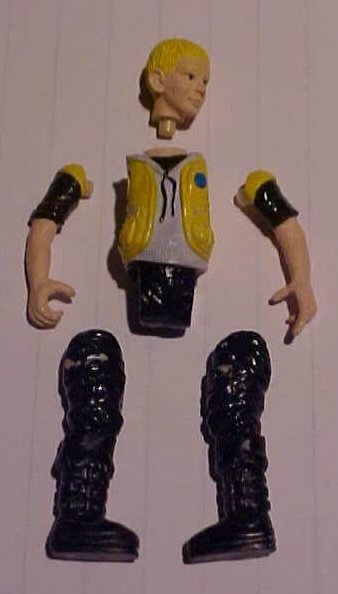 Don West. 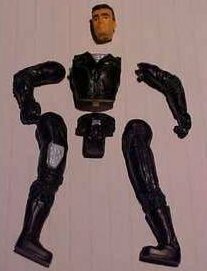 Including weapons and accessories. 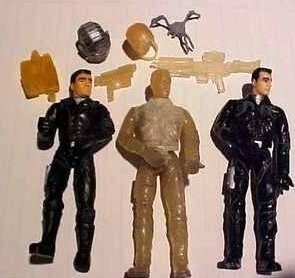 7) An unassembled Major. 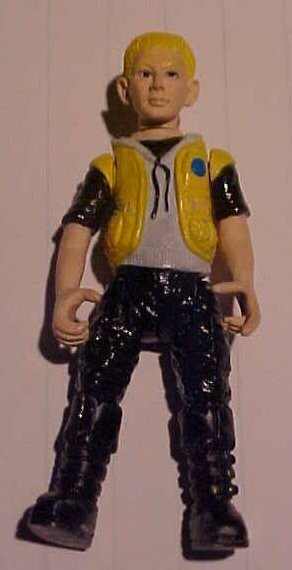 Don West figure. 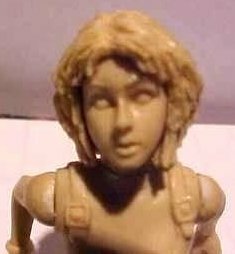 8,9) An unpainted figure of Penny Robinson, minus one leg. 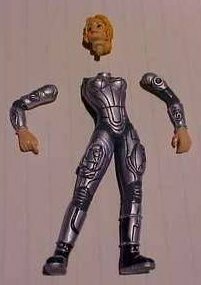 This is very rare, seeing that Trendmasters NEVER released this action figure! 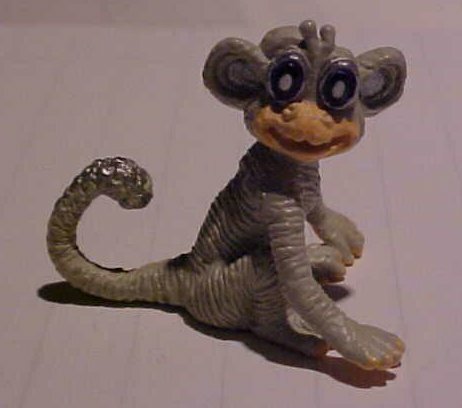 10,11) Blawp the space alien monkey, face hand painted only. 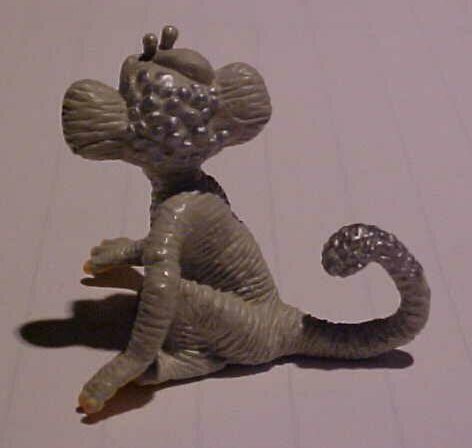 12,13) Two different hand painted versions of Will Robinson. I have many prototype items from the LIS Movie, and was offered this complete set in February of 2002. I decided to pass on these, and now I am regreting it. "I would like to thank, Kevin Potthoff of St. Louis for sharing these with all of us!"